Rafael Ney has been an attorney since 1996. He is a founding partner of Novotny, Ney, Saldanha, Penna, Ponte, Vianna & Corrêa Advogados. 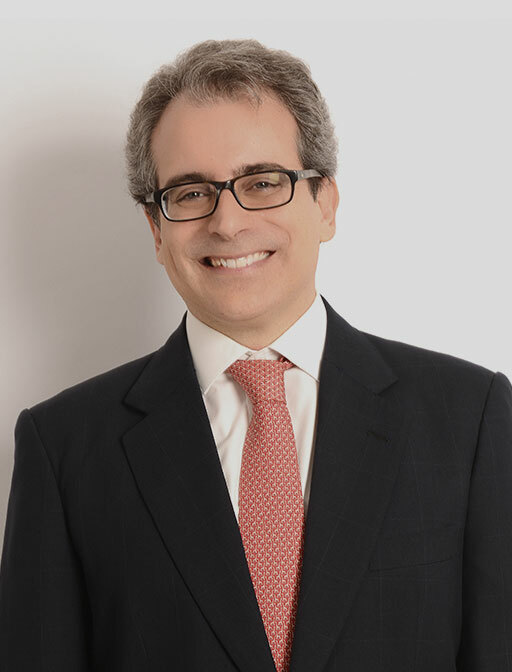 Rafael serves a diverse client base in varied types of legal issues, business transactions and disputes involving private and public law, particularly in administrative and corporate law. He has extensive experience in court and arbitration disputes, both domestic and international. His experience includes corporate conflicts and disputes involving commercial and government contracts. Rafael also represents clients in pre-litigation matters, in general shareholders’ and quotaholders meetings. He also represents minority shareholders of public companies in widely publicized cases, including in administrative proceedings before the Brazilian Securities and Exchange Commission (CVM). Another area of focus for Rafael is public law. He advises clients in public bids and in contracts with the government. He has wide experience in disputes involving government contracts and public bids, having also represented entities of the Indirect Public Administration. Additionally, Rafael also assists clients in a broad range of business transactions. He participates , drafting and negotiating of transport and construction contracts and also leads M&A transactions, drafting and negotiating share purchase agreements, shareholders’ agreements, and joint venture agreements. Rafael has been a professor at the postgraduate course of Business Law of the Law School of Pontifícia Universidade Católica do Rio de Janeiro, having taught on the topic of “Corporate Groups”. He has also authored several articles on different legal topics, including arbitration, civil procedure, competition and corporate law.